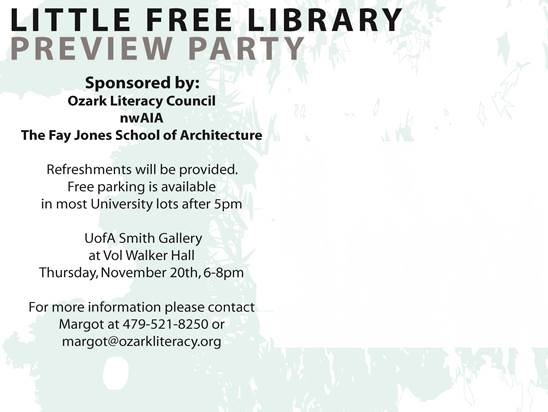 Please join the nwaAIA, the Ozark Literacy Council and the Fay Jones School of architecture to bring professionally designed Little Free Libraries to Northwest Arkansas in 2015. Little Free Libraries are part of a worldwide movement that offer free books housed in small containers to members of the local community. The nwaAIA sponsored a design competition for Little Free Library designs from northwest Arkansas members. 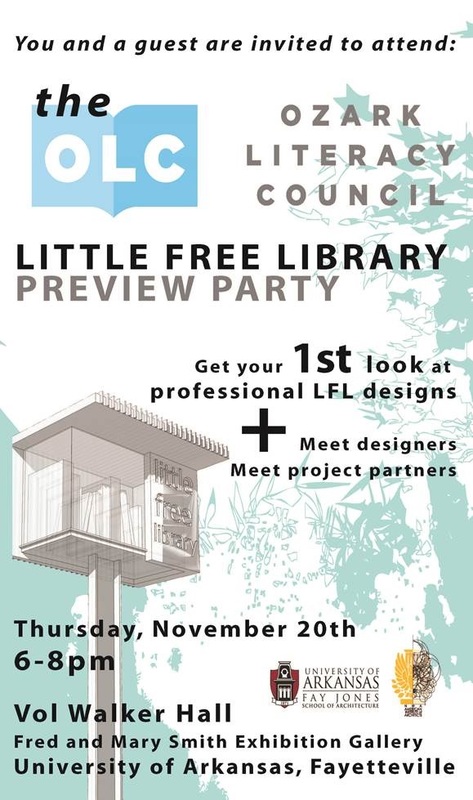 Potential sponsors interested in owning a professionally designed Little Free Library are invited to a viewing party in the Fred and Mary Smith Gallery in Vol Walker. 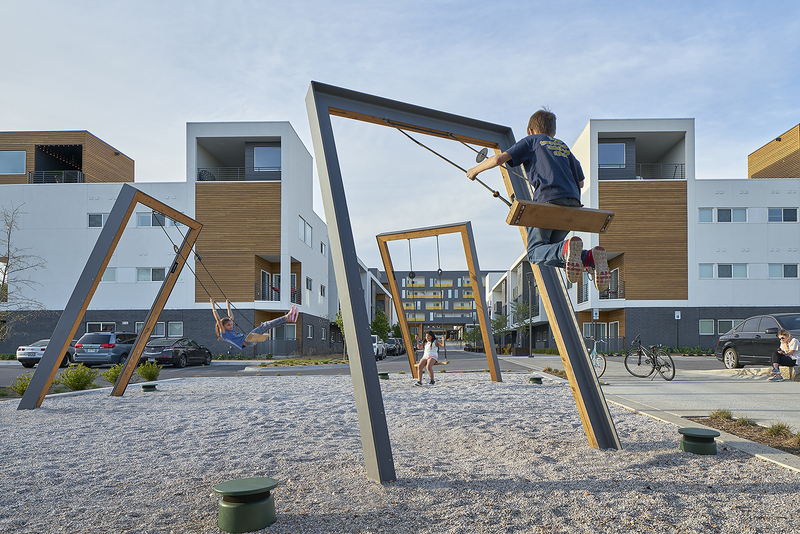 To find out more about the program and to see all of the entries including the winners, click here. All competition entries will be displayed in the entry hall of Vol Walker and the winners’ design is being fabricated to be enjoyed full scale. Please, E-mail aianorthwestarkansas@gmail.com for any questions.